First day back after the summer holidays and the fun begins. 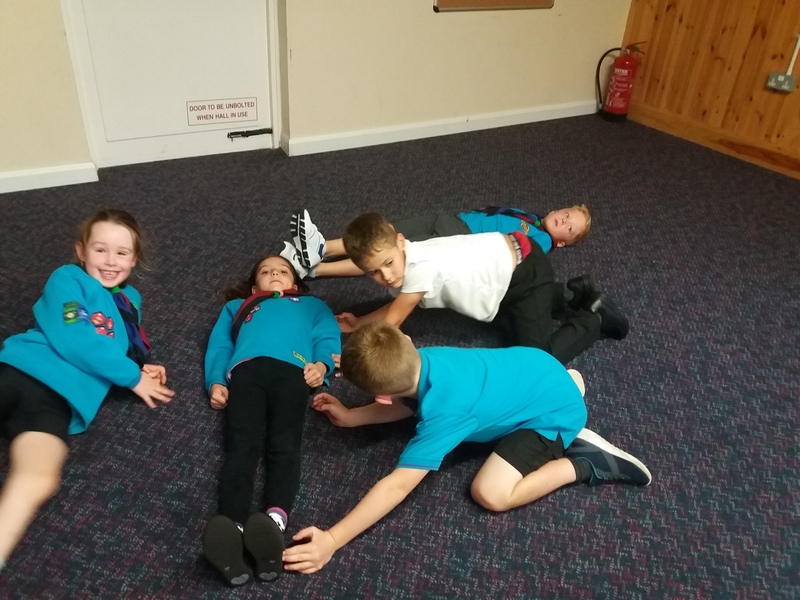 This week we focussed on the “my teamwork badge”. 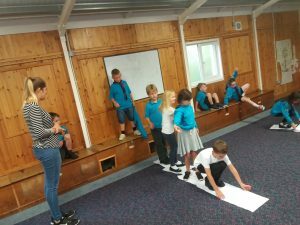 We started off sharing the fun we had during the summer holidays with our lodges. Then we had two team games. 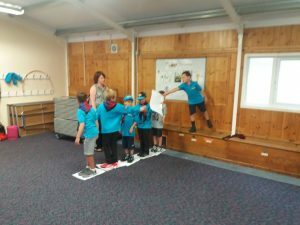 First challenge: Each team of Beavers were given 6 sheets of A3 paper and had to work as a team to cross the river on their make shift bridge. The rules were that each sheet of paper must be touching at least one sheet of paper and that no Beaver could step on to the “river”. 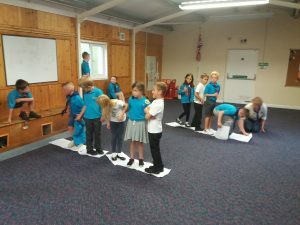 It was great to see the Beavers working as a team to solve this problem. Second challenge. Simon Says “shapes”. The leader would call out a shape and the team had to make that shape with their body’s either on their own or making the shape as a group. For example. As a triangle they could have three Beavers as the sides of the triangle, or four beavers for a square. then the shapes started getting more complicated like ‘B’ and ‘W’ Well done to all the beavers for some very imaginative ways or putting the shapes together. If you missed it and want to play at home you can find the programme here.